Father’s Day is celebrated worldwide to recognize the contribution that fathers and father figures make to the lives of their children. This day celebrates fatherhood and male parenting. Although it is celebrated on a variety of dates worldwide, many countries observe this day on the third Sunday in June. To commemorate this year’s Father’s Day, the Pentecost Men’s Ministry (PEMEM) of the Pentecost International Worship Centre in Tarkwa (PIWC-Tarkwa) on June 17, 2018, donated some teaching and learning materials worth GH₵5000.00 to the Tarkwa Pentecost Preparatory School (PPS, Tarkwa). The Tarkwa Pentecost Preparatory School started in 2014 during the tenure of Apostle Dr Stephen K. Baidoo (Retired) as the Tarkwa Area Head. 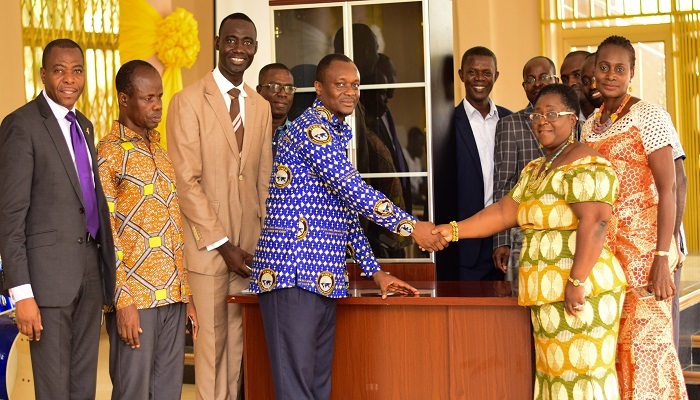 Since assuming office, the current Area Head, Apostle Samuel Yaw Antwi, has also made conscious efforts and commitment toward improving teaching facilities at the school. 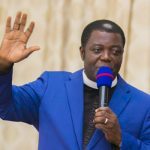 It was in this light, that the Tarkwa PIWC Men’s Ministry, led by their Resident Minister, Pastor Charles Nyarko, embarked on this noble initiative to assist the school. The Men’s Ministry of PIWC-Tarkwa has, therefore, replaced all blackboards in the various classrooms with environmentally friendly and less hazardous whiteboards and markers. In addition, the ministry has furnished the office of the Headmistress of the School with a comfortable desk and a cabinet. Pastor Nyarko said that he was hopeful that administration and learning in the school would improve significantly as a result of the donation. other benevolent individuals and organisations to also come to their aid.